Yes, I have now seen Star Wars: The Force Awakens. No, I'm not going to talk about it much. Yes, it's a good movie. No, it's not a great movie. Yes, it is better than the Prequels. No, It's not better than the original. Yes, it is (IMHO) better than Return of the Jedi, whom I actually put below Revenge of the Sith. I feel it is now safe to venture into SWTOR without concern of spoilers being splatted across the screen. ...just a good legal team and a willingness to smack the patent troll around. Word came out late yesterday that a patent troll company, RecogniCorp LLC, lost in it's attempt to sue Nintendo for how the data for their Mii's are stored. The judge threw the patent itself out, saying that the patent the company tried to sue Nintendo over --a patent on how police sketch artist data is stored-- an attempt to monopolize mathematical operations. Here's the link to the Business Wire article about the case. And an article from Nintendo Life, providing a bit of context to the case. Under the heading of patent trolls, it seems that several video game companies, Activision, EA, Zynga, and Take-Two Interactive among them, have been sued by a company calling itself Virtual Gaming Technologies for "real-time interaction systems" in online sports. Why do I call this company a patent troll? Well, for starters, the company Virtual Gaming Technologies was founded in September 2015, and practically the first thing the company did was to file lawsuits in patent litigation friendly East Texas. I'm all for a patent holder to defend their rights to their patents, but come on. It's not like fantasy sports haven't been using this tech for a while, and the fact that the company was created expressly for the purpose of suing the big names in the video game industry implies that they really haven't much of a leg to stand on. As I've gotten older and begun turning more into Greybeard than Redbeard, I've found that I've had a harder time reading the red link text on a black background. Therefore, I'm making some tweaks to the blog layout. Nothing really drastic (yet), but if you check out the site over the next few weeks and see things a bit different, no it's not your browser going haywire. I mean, I know that spoilers come out once movies are released, but deliberately behaving like this because Lucasfilm decided to can the EU? No, I don't hoard things. Why do you ask? My wife loves Mario Kart 8. Hmm.... Maybe "love" is not a strong enough word; more like "addicted to Mario Kart 8". Some people, when they get off work, will come home and have a drink. Others will turn on the news. Still others will watch a game*, catch up on social media, or curl up in a corner and take a nap. My wife comes home and plays Mario Kart for stress relief. playing as Rosalina. From gameasylum.com. I now have a hard time remembering when she hadn't played Mario Kart online, and when I was ever concerned about how well she'd handle it. Those days are long past; she now has gotten to the point that she recognizes different online players by their names, and surely with a name like "Mom" she's recognizable too. Due to her love of Mario Kart, I've often wondered whether she'd go for any other online games --yes, MMOs too-- but I'm realistic in that Mario Kart is pretty easy to handle. I think that some games, such as the LEGO games, she'd find interesting, but I've yet to discover a video game she loves as much as Mario Kart. The reason why I bring this up is because I've been tossing around this idea in my head about gamers, and whether they fall into one of two major groups: those who tend to play a few games all the time, and those who like to try out lots of different games. The border area between the two groups is a bit hazy, but the overall grouping is what I'm looking at. I'll break the two groups down, so you get a feel for where I'm coming from. When I think of the gamer who sticks to a few games, I think of my dad. Okay, he's not a gamer, but if you get him interested in playing something, he'll pull out the chessboard. We've tried to interest him in different games, even simpler strategy games than chess,** but he always returns to the chessboard. in the evening. From the movie Independence Day. The youngest mini-Red seems to have a knack to explain new games to her mom, but even then my wife prefers to stick to a few regular games without much deviation. On the other side of the aisle are those that play a lot of different games. They play a lot --and I do mean a lot-- of games. While they don't have the money or resources to amass thousands of games like some collectors do***, they do play a lot of a different variety of games. From Star Wars d20 to Pathfinder to Savage Worlds to Magic: The Gathering to LEGO The Hobbit to LOTRO to Hyrule Warriors, they do get around. There, but for the love of God (and a lack of money), go I. From a pic of Game Haus Cafe. They've got a bit of me in them, as I would prefer to try a lot more games than I currently can play. I do have a few stalwarts, but if I'd my choice I'd like to play more games out of my collection. But a multi-thousand collector of games? No, not me. I may collect games, but not anything close to that many. I'll occasionally get a "we should prune these games" request from my wife, but once I move some titles around to make them fit.... Well... It works out. If there's one true weakness I have, it's for a well written splatbook. What's a splatbook? It's an RPG book that's not really part of the core ruleset. 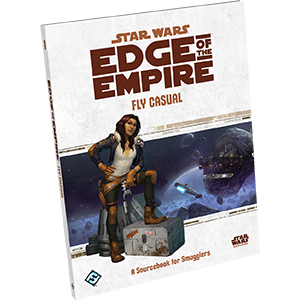 You'll find them as extras or additions to the current rules, setting books, or extra gear/equipment/races/vehicles/mounts for a game. their inner Han Solo. From fantasyflightgames.com. of the Forgotten Realms lives on in D&D 5th Edition. 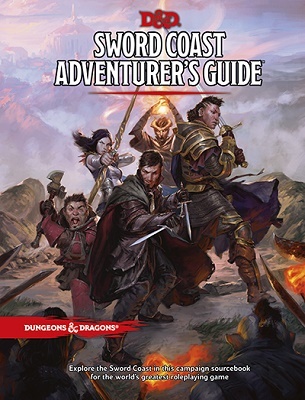 Some are even books about how to play a particular RPG, basically taking the core rules and breaking them down into bite sized chunks. you want to play. 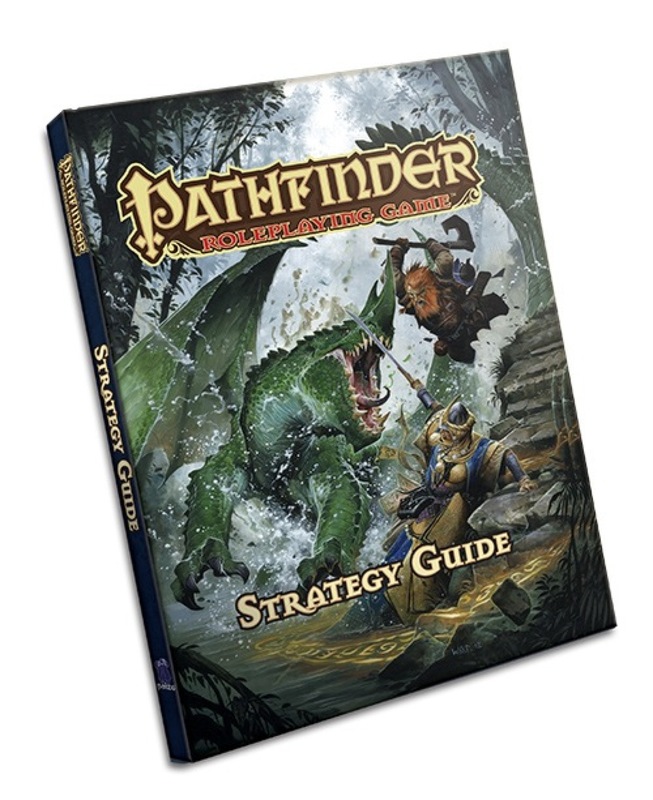 From paizo.com. I've been known to collect adventure modules, which are premade adventures that you can either run as-is or drop into an ongoing campaign. For the GM who is busy in real life, modules are a godsend. party died due to a massive avalanche. Really brilliant, I know. From Wikipedia. Still, my love of splatbooks probably stems from my love of add-ons to SF&F series/universes. Items such as the Atlas of Middle-earth by Karen Wynn Fonstad, or the Star Trek Technical Manual (original series) brought these settings to life in a way that I hadn't considered before. You can find manuals on how to speak Quenya or Sindarin (two Elvish languages that Tolkien invented for Middle-earth), a "Haynes Guide" to the Millenium Falcon, or an Atlas of Pern. This was what my copy looked like. A lot of these books grew out of fans' desire for them, and publishers and other assorted third parties were more than happy to satisfy the demand. Today, this sort of book seems quaint, but I still love it. Still, I find that I do have some things in common with my brethren who love to play only a few games. We both play games, and we enjoy what we're doing. I may never quite understand why they need to stick with only a few games year in and year out, but I can appreciate the fact that they do love playing games. Even if it means I know that a blue shell is headed in my direction. *Particularly during college basketball season; there's always a game on that's interesting. **We've tried Risk, Rail Baron, Facts in Five, Waterworks, etc. but to no avail. And no, I'm not trying Diplomacy on him; I would kind of like to remain on speaking terms with him. ***Don't believe me? 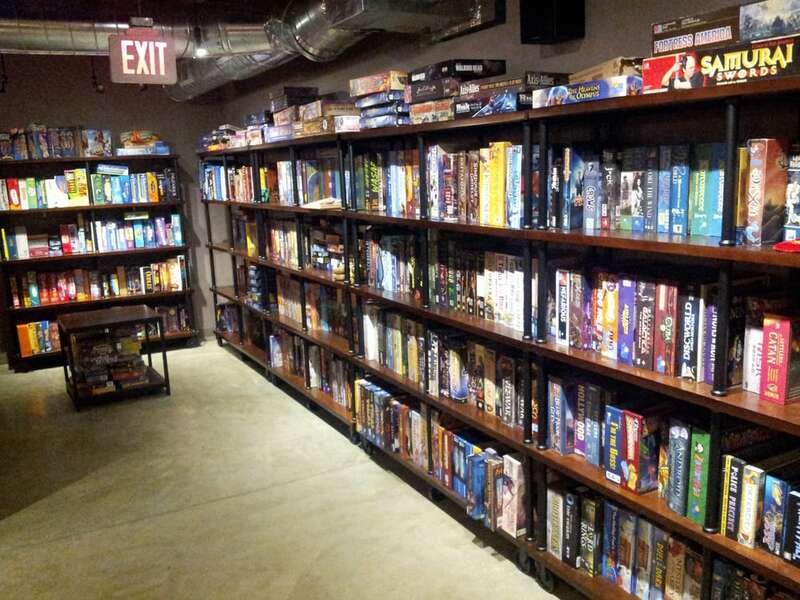 Check out some of the comments on this list from BoardGameGeek. The U.S. Thanksgiving holiday has come and gone, and I am still alive. Frankly, I'm kind of surprised about that. But for a change, there were no political "discussions" during the family get togethers*, so there was little chance that the gathering was going to turn into a shouting match. Not zero, mind you, but a lot less than the average Thanksgiving holiday. Since my spouse works in retail, she had a very very busy Thanksgiving weekend. And as a consequence, I did as well; I shuttled her back and forth from her employer, so she didn't have to try to find a parking spot or worry about falling asleep driving to or from work. However, this being our household, there were MMO related activities as well. The Mini-Reds began their server transfer after one last concert in Bree, where the band and others gathered agreed to transfer over to the Gladden server. If the Mini-Reds ever thought that their attendance at the concerts went unnoticed, they were hailed by people when they made it over to Gladden. My son had a silly grin on his face when he related the story to me, and I couldn't help but smile in return. Things like this little acknowledgment show some of the best that MMOs have to offer. I advanced a bit further into Wildstar, and continue to be impressed with the game and the stories. I've found that I can put the Texas aspect of the game almost completely in the rear view mirror, but there are times when I just wish that the game would tone it down a bit. And as far as SWTOR is concerned, I've decided I'm going to make the jump into the coffee expac over the upcoming Christmas holidays. I'll have some time off, so if I do something stupid and stay up until 4 AM playing the game I won't pay the price at work the next day. Until then, however, I'm going to noodle around Wildstar when I can, and I think I'm going to see if I can push a bit farther into the slog that mid-50s Age of Conan is right now. I've not really touched the game much over the past few months, and I have that old itch that needs scratching. *One for each side of the family.